We popped along to help out at the dog show at Howe Country Centre as both our border collies are currently in agility training, and Nevis is due to compete in his first serious competitive show next month. 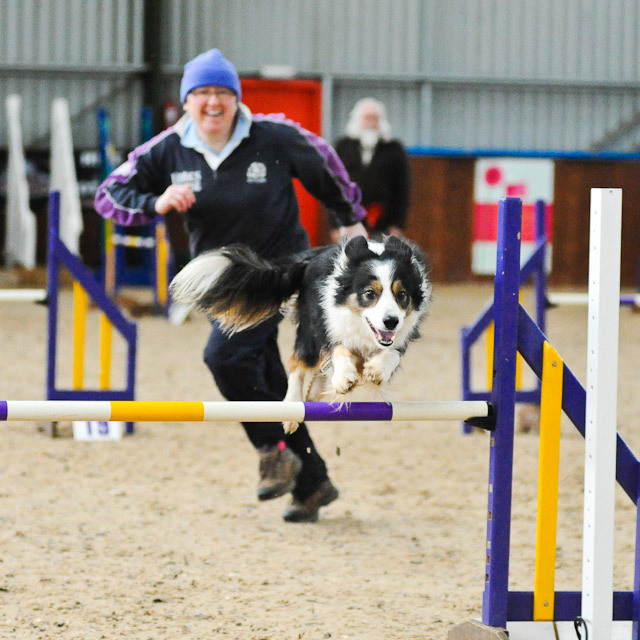 I decided to take some dog agility photos while I was there – it was fantastic to watch! From a photographic point of view dogagility events are much harder to shoot than showjumping – dogs are so much smaller and faster than horses, but also much less predictable. When you look at showjumping course, it is very easy to predict exactly which line a horse is going to take, there is a pretty well defined spot where a horse will take off, and there is an almost imperciptle point where a horse will almost hang in the air waiting for its photograph to be taken. Dogs – well, they make their own rules. They might take off right underneath the jump, or they might take off 4 feet before it. They might take the shortest line through the corner of the jump, or they might rely on their speed and take any line which fits. They might be looking towards the next jump, or they might be looking back towards their handler to see what’s happening next. All of which makes the photographer’s job much more difficult – if it wasn’t hard enough already trying to photograph a small, fast-moving object in poor light. 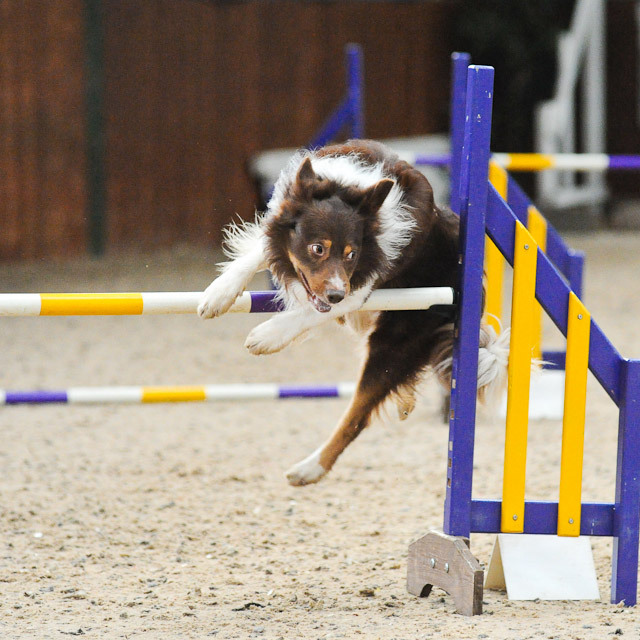 But I’ve been doing this for a while now, and I’m getting a good handle on how to successfully photograph dog agility events. We got some great shots on the day, and I’m looking forward to Nevis’ big competition in April. You are currently browsing the archives for the Howe Country Centre category.